Craving for Tita’s Crispy Okoy Special! It was my younger sister who introduced Tita’s Crispy Okoy Special to us a few years ago. Every time she passes by Biñan, Laguna, she makes it a point to buy lots of these because we all love it! 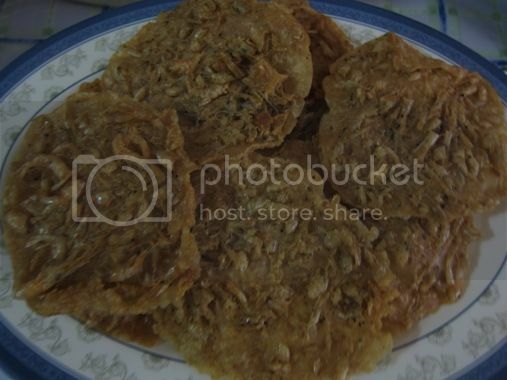 The usual okoy is made of grated vegetables with or without meat and it’s usually fried. 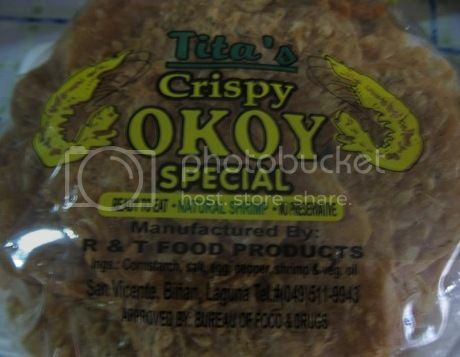 What’s different about Tita’s Crispy Okoy Special is that it’s baked, not fried, and it’s made purely of shrimps. It’s so tasty and crunchy and stays that way days after you’ve opened the pack. It’s best for snacks or “pulutan” (appetizer), but I eat this with rice. LOL! You can eat it as is or dip in vinegar with chilli or soy-vinegar concoction. Each pack of Tita’s Crispy Okoy Special costs Php85.00. This entry was posted in Appetizer, Snacks, Tita's Crispy Okoy Special. Bookmark the permalink.